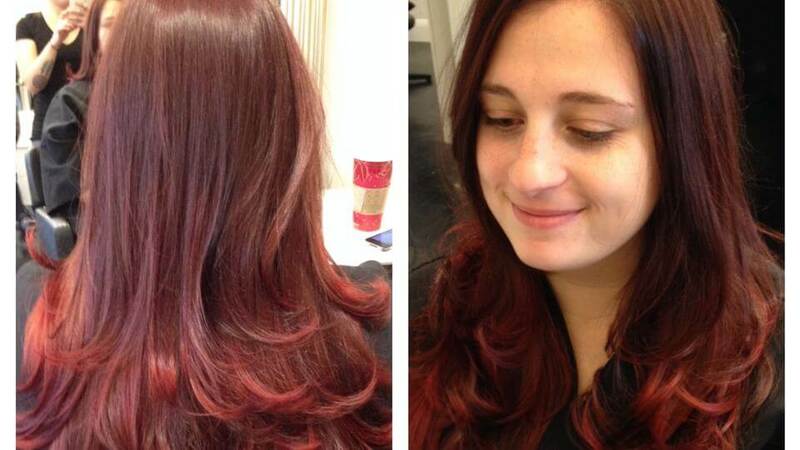 Fall in love with hints of merlot and violet or bold copper tones to refresh any stale color from the summer months. Add a conditioning shine glaze with demi-liquid color customized for your hair color, texture, and skin tone. New seasonal tones of rich brown and fiery violets not only add depth with a shiny hue to locks, but also condition strands resulting in less color fade. Maintain vibrant color with Reviving Red Shamp’oil and Conditioner from Pureology — it has lycopene and jaljala oil to ensure lasting color.